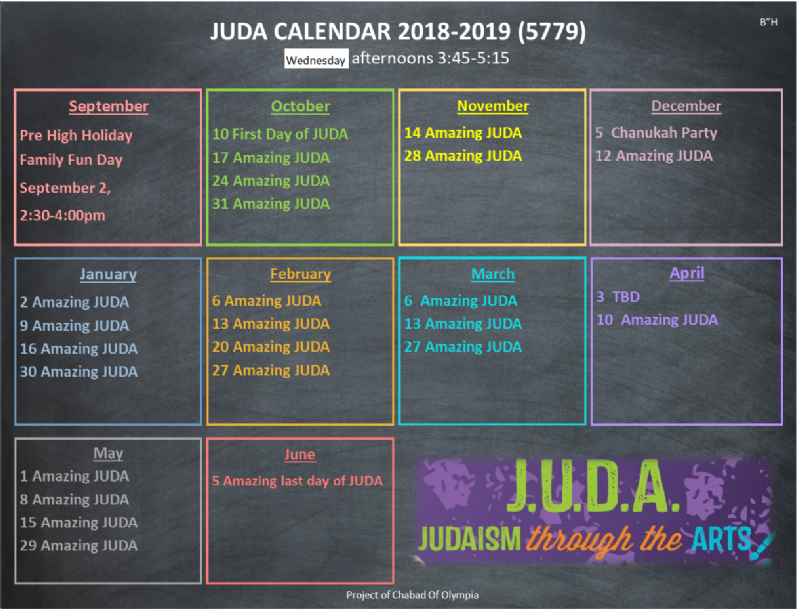 Welcome to JUDA, an exciting and innovative Jewish educational program! We have a particular focus on educating children through crafts, song, hands on workshops and drama. Our program is founded on the principle that, while Jews embrace many levels of observance in their personal lives, there should be a place for all to Jews to develop a sense of community and engage in activities which will enhance their Jewish experience. Click here to register!